Welcome to Harlem is the premier visitor center in Harlem and the first port of call for everyone taking the A, B, C, D, 2, or 3 trains or the hop-on/hop-off shuttle to Harlem. From our friendly, street-level office located at 2360 8th Avenue (Frederick Douglass Boulevard) around the corner from the famous Apollo Theater, Welcome to Harlem is staffed with knowledgeable people who provide expert and friendly guidance to assist visitors looking for sites to visit in Harlem. We provide gospel and brunch, walking, shopping, and soul food and jazz tours in Harlem, and can customize tour packages and events for individuals and groups. 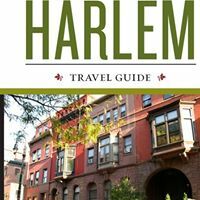 We have the intimate knowledge that allows us to tailor distinctive tour itineraries for the out-of-the-ordinary Harlem experience that city-wide tours simply can’t offer. We invite you to take a few moments to learn more about our flourishing neighborhood. A great place to live, work and play, Harlem warmly welcomes you. I tried this tonight, and it doesn’t work. Do you have an alternate address? Not sure what did not work, the office is located at 2360 Frederick Douglas Blvd., Suite D. and the office hours are 111m – 3pm Monday – Friday. The telephone number is (212) 662-7779. Sorry that I am just seeing your praise.